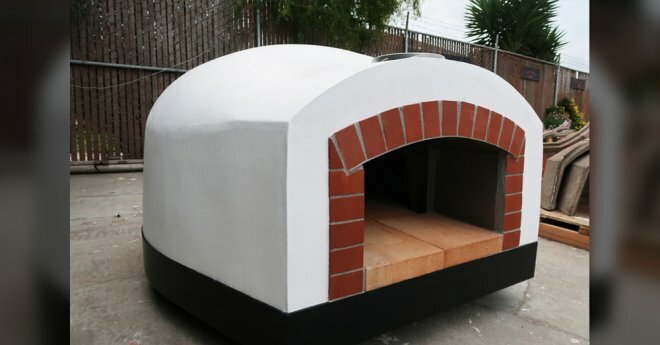 Viaggio Mobile Drop-In Pizza Oven Starts at $5,950. Looking for a turnkey trailer or food truck? Visit out Mobile Pizza Oven page. Prefer a modular oven kit used by trailer manufacturers? Check out our Professionale Oven Kit page. * Due to the customized nature of concessionaire trailers and mobile pizza ovens, please contact our Customer Service Team directly by email or at 1 (800) 407-5119 for ordering assistance! We can help you find the perfect match for your business needs. 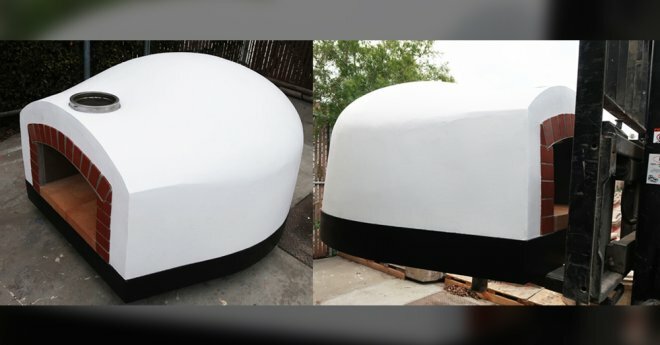 Oven dome produced using a proprietary 142 pcf density, 8,230 psi strength refractory material with poly-fibers for additional strength not found in brick or clay ovens. All manufactured in our Salinas, CA factory using a two-sided, vibrated mold casting process. It is a remarkably hard and durable material designed to provide many years of 24/7 operation. NSF4 certified oven floor is constructed using large 18”x18”x21⁄2” ultra-premium (2,700 psi compressed and 2,650ºF kiln-fired) baking tiles with Cordierite — for superior thermal shock resistance and durability, and for great pizza baking. Ultra-premium insulation, both in quality and thickness, for outstanding heat retention. Each drop-in oven includes high-tech ceramic blanket dome insulation and ceramic board floor insulation — eliminating the need for old-fashioned and inefficient vermiculite or Perlite-based insulating concrete. An interlocking dome design with fewer, tighter seams, these pizza ovens offer outstanding heat retention, cooking performance, and durability. Stainless steel support structure to hold up to the rigors of mobile applications. 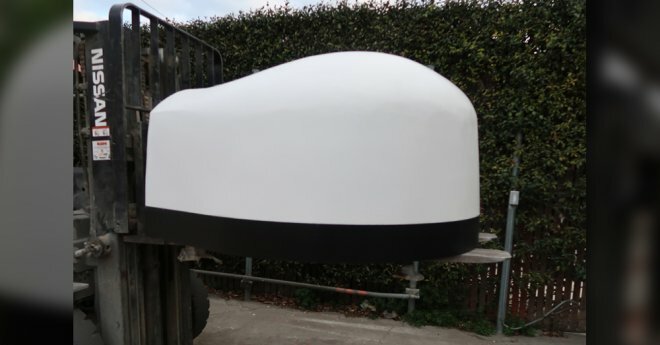 Various venting options: Tthe Viaggio100 comes with a refractory mono-block vent; the larger Viaggio110/120 utilizes a stainless steel vent to reduce trailer and tow weight. A 24″ removable double wall chimney comes standard for UL 103HT compliance. Why Forno Bravo Mobile Pizza Ovens for Your Trailer or Food Truck? Forno Bravo mobile pizza ovens have been used in a wide variety of pizza trailers and food trucks, including industry-leading companies and smaller local trailer manufacturers. Our rugged, refractory dome design is more stable than traditional brick ovens, while providing the same cooking capacity. With over 1,000 Forno Bravo pizza ovens installed on trailers and trucks, you can count on your oven holding up to the rigors of the road. If you want a turnkey pizza trailer or food truck, Forno Bravo partners with industry-leading, specialty vehicle companies. Whether you are looking for a food truck or mobile pizza trailer, Forno Bravo pizza ovens can be purchased as a turnkey product. We highly recommend contacting one of our partners before deciding to do a self-help trailer, or work with an inexperienced trailer integrator. There is liability associated with building your own pizza trailer, and there is nothing worse than starting your dream business, only to have an unfortunate accident or lawsuit wipe you out. Another advantage of working with a Forno Bravo partner dealer, like Fire Within, is they offer training, business seminars, and financing options. A true partner for your business to help make you successful. To learn more about Fire Within, click here. To find a dealer partner, you can visit our Dealer Locator by clicking here. Forno Bravo works with QuickSpark financial services to provide small cap financing options at competitive rates. To learn more and apply, click here. All information shared with QuickSpark is confidential and Forno Bravo is not privy to your financial background.